The plan was to make plain old BBQ Pulled Pork for Cooking Club. Super easy, super tasty… but NOT super fast. It takes hours in the slow cooker and is one recipe I always start way before Cooking Club begin. Unfortunately, there were issues with my grocery delivery and the pork didn’t arrive until after Cooking Club started, which meant we had no time for the slow cooker. 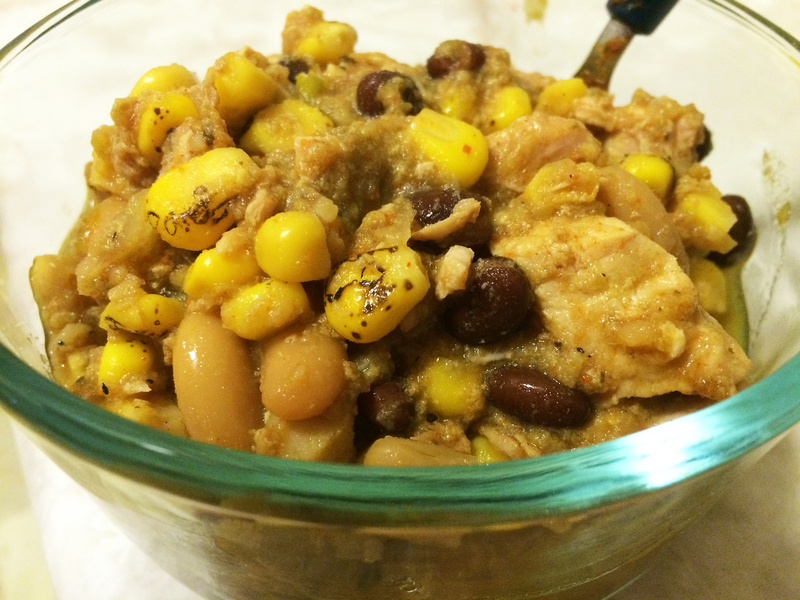 This is another ridiculously easy crockpot recipe. I mean, it doesn’t get much simpler than putting meat in the crockpot, adding a little red wine vinegar and Liquid Smoke and turning the thing on. The only real work comes in shredding the meat and, I guess, stirring in the barbecue sauce. Really, this is perfect when you just can’t be bothered… but, still want something delicious. And you can do a lot of different things with the 10 servings you’ll get out of this recipe! Make a sandwich one day… plop the pork on top of a salad another…. or just eat it by itself. You can take it up a notch by making your own barbecue sauce (there’s a great recipe on Skinnytaste.com). But after a few times making our own sauce, I decided the ingredients in the Trader Joe’s barbecue sauce were close enough to what we were using that it was worth not having to deal with the molasses anymore. A day in front of the TV (Lord of the Rings marathon FOR THE WIN!) is a great excuse to make something in the crockpot. My roommate was baking it up in the kitchen so I needed something really easy that wasn’t going to take much space to put together. I had pork in the fridge I’d bought with the intention of making pulled pork, but, since we made that the day before in Cooking Club, I didn’t want any more… so I settled on pork chili (I never actually knew there *was* such a thing until a business trip last week where I had it in a little hole in the wall Mexican restaurant! ).